Bobby Labonte picked up the 11th last-place finish of his NASCAR Sprint Cup career in Sunday’s Tums Fast Relief 500 at the Martinsville Speedway when his #09 C&J Energy Services Chevrolet fell out with overheating problems after completing 197 of the race’s 500 laps. Last week at Charlotte, Labonte finished 22nd in the first Cup race for Stavola-Labonte Racing, co-owned by Bobby’s brother Terry. Martinsville would see the 2000 champion return to Phoenix Racing, which Labonte joined on a part-time basis following his departure from TRG Motorsports earlier this year. 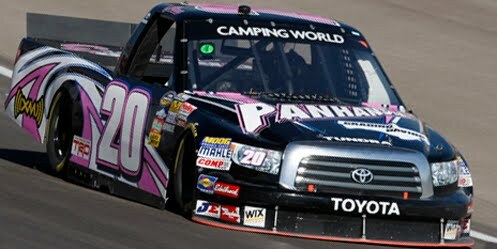 Hopes were high for a good performance on the short track as Phoenix Racing’s #09 would have full primary sponsorship for just the second time in 2010 (the first since Daytona in July, where Coke Zero came aboard). Last month, C&J Energy Services, based in the Labonte family’s hometown of Corpus Christi, Texas, had signed on to fund a handful of 2010 races. Phoenix Racing would also have a Hendrick engine at their disposal for the Martinsville weekend. The new silver-and-black Chevrolet qualified 23rd for Sunday’s race at a speed of 96.190 mph. The #09 was also 8th-fastest in Saturday’s morning practice, during which he turned in the second-fastest 10-lap run, trailing only A.J. Allmendinger. Early in Sunday’s race, current LASTCAR Sprint Cup Driver’s Championship leader Joe Nemechek fell to 43rd, followed by J.J. Yeley, who qualified Dusty Whitney’s #81 for the second time this season. 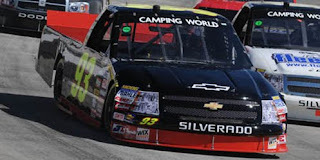 Nemechek carried returning sponsorship from England’s Stove Works and Yeley inherited Red Line Oil from teammate Michael McDowell, who failed to qualify his #46, but it was still unclear whether either car would be able to run the entire race. This was also a concern for Landon Cassill, who was the first driver to go behind the wall when his Larry Gunselman-owned #64 slowed on Lap 22. Mechanical problems then plagued Front Row Motorsports teammates Travis Kvapil in the #38 and David Gilliland in the #37, who both spent time in the garage area after the first caution came on Lap 48. Gilliland spent more time behind the wall than Kvapil and fell to 42nd, both teams listed as “off the track” by the time defending LASTCAR Champion Dave Blaney pulled the #36 behind the wall around Lap 78. However, as the race neared the 100-lap mark, none of these teams had officially left the race, and Nemechek and Yeley stayed out of the garage altogether. Meanwhile, Bobby Labonte struggled just outside the Top 30. On Lap 133, he tangled with Ken Schrader and Marcos Ambrose during an ill-timed three-wide battle off turn two, but avoided serious damage. By Lap 166, Gilliland, Cassill, and Blaney had all taken turns returning to the track with Gilliland and Cassill still in the bottom two positions, each more than 100 laps behind the leaders. As the race wound down, no driver and team fought harder to pass Labonte than Landon Cassill and “The Gunselman Gang’s” #64, who remained in 43rd for much of the entire race. 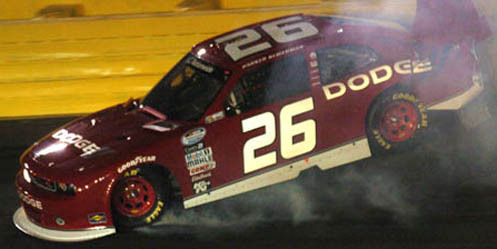 Once the team learned of Labonte’s exit, the Gunselman crew fought to keep their car in one piece for as long as possible. In doing so, the team would go on to run more laps than it had since Todd Bodine ran 227 laps during the team’s Las Vegas debut last year. Unfortunately for the #64 team, their efforts were hampered by an electrical glitch that kept shutting the car off randomly, forcing two extended stays behind the wall after Labonte withdrew. The second stop came after Lap 312, when Labonte had slipped to 42nd, and by then, the team was struggling to find another set of tires. On Lap 349, Cassill returned to the race 167 laps down, the team knowing they were just 13 laps from passing Labonte. At last, on Lap 362, the team succeeded, and a Lap 366 radio transmission said “Next time by, get the hell outta here.” Cassill finished 42nd, the team unable to run the car another 60 laps to pass 41st-place Joe Nemechek, who by then had long fallen out with Yeley and Casey Mears. In the Driver’s Championship, Michael McDowell has secured enough sponsorship from Red Line Oil and Cash America to run the distance in all four of this season’s remaining races; Whitney’s primary car will not have to “start-and-park” for the rest of 2010. Dave Blaney will only be running partial races for Tommy Baldwin part-time, pending any future starts for Front Row Motorsports. J.J. Yeley will run two of those races in the #36, splitting time with one more start at Phoenix in Whitney’s #81. In the Owner’s Championship, both PRISM Motorsports cars failed to qualify for the Martinsville race, and the team’s #66 and #55 remain one and two finishes, respectively, short of tying Nemechek for the lead. This Sunday at Talladega, PRISM’s #55 will receive full funding from Aaron’s for the second time in 2010 as Michael Waltrip looks to follow-up his promising April run with the team. There is no new information regarding sponsorship for PRISM’s #66, but the team’s struggles in qualifying may undermine the team’s Owner’s Title defense. *The finish was Phoenix Racing’s 3rd in 2010 and its first since Aric Almirola was felled by a vibration 23 laps into this year’s Shelby American at Las Vegas. Interestingly, Sunday saw Almirola make his first Cup race since the spring race at Martinsville, having returned to replace the released Kasey Kahne in the Budweiser Ford. Almirola finished 21st on Sunday after finishing 41st in the spring. *It was Labonte’s first last-place finish in just over a year, dating back to when his #71 Mahindra Tractors Chevrolet was involved in a multi-car crash after 6 laps of the 2009 Price Chopper 400 at Kansas. *Labonte had not finished last in a Cup race at Martinsville since 2007, when his #43 Cheerios Dodge finished under power, 235 laps down, in the 2007 Goody’s Cool Orange 500. *The #09 had not finished last in a Cup race at Martinsville since 2004, when Joe Ruttman’s Miccosukee Dodge lost the brakes two laps into the 2004 Advance Auto Parts 500. *The 197 laps Labonte completed were the most by a last placer since 2008, when Kurt Busch’s #2 Miller Lite Dodge crashed after completing 207 of the 267 laps that made up the 2008 Ford 400 at Homestead. Kevin Hamlin picked up the 4th last-place finish of his NASCAR Nationwide Series career in Saturday’s 5-Hour Energy 250 at Gateway International Raceway when his unsponsored #36 TriStar Motorsports Chevrolet fell out after the first of 200 laps with brake problems. As reported last week, Hamlin stepped in to replace Jeff Green, who scored all six of the #36 team’s previous last-place finishes in 2010. While Green, in Key Motorsports’ #40, qualified 25th, Hamlin qualified Green’s old ride 33rd at a speed of 132.271 mph, besting eight other “go-or-go-home” teams including the four that failed to qualify. On race day, Hamlin left the race early while Green went on to finish 29th. Saturday’s last-place battle was close due to the sheer number of cars that left the race early: in all, seven cars, including Hamlin’s, fell out of Saturday’s race in the first four laps. Two of these cars were in a position to deny Hamlin the finish, as both Nashville last-placer Danny O’Quinn, Jr. in D’Hont-Humphrey’s #90 and Brian Keselowski’s K-Automotive #26, 43rd last Friday in Charlotte, also went to the garage after Lap 1. Dennis Setzer, who did not enter the Gateway race so he could attempt to race K-Automotive’s Cup car into Sunday’s race at Martinsville, has now claimed the 2010 LASTCAR Nationwide Series Driver’s Championship. Jeff Green failed to finish last on Saturday and, ss the only driver in a position to tie Setzer for the most 43rd-place finishes this season, can only lose the title on bottom-five finishes. Mathematically, Green can only close to within five finishes of Setzer’s 17 bottom-fives. It is Setzer’s first LASTCAR title in any of NASCAR’s top three divisions. *The #36 had not finished last at Gateway since 1999, when Tim Fedewa’s Stanley Tools Pontiac fell out with engine failure after 66 of the 200 laps that made up the 1999 Carquest Auto Parts 250. *It is Hamlin’s first last-place finish since 2009, when he scored his other three last-place finishes. His most recent finish came in the Nationwide season finale Ford 300 at Homestead, driving the #37 BCR Ford lost the transmission 3 laps into the race. Interestingly, Hamlin’s first-ever last-place finish also came at Gateway, where his #42 Smith Iron Works Dodge fell out with electrical problems without completing a single lap of the 2009 Missouri-Illinois Dodge Dealers 250. J.J. Yeley picked up the 2nd last-place finish of his NASCAR Sprint Cup career in Saturday’s Bank of America 500 at the Charlotte Motor Speedway when his unsponsored #36 Tommy Baldwin Racing Chevrolet fell out with ignition problems after completing 73 of the race’s 334 laps. Yeley qualified 40th for Saturday’s race at a speed of 187.363 mph during the nail-biting final moments of Thursday’s qualifying session. When his first timed lap was too slow to make the field, Yeley dug deep and picked up three-hundredths of a second, just barely enough to edge Jeff Green’s #64 for the next-to-last spot in the field. This proved significant as Casey Mears, whose #13 was next to qualify, was unable to edge both Yeley and Green. This meant Mears, the next-to-last car to qualify, would be sent home and that Yeley would race on Saturday. Green was locked into the 43rd spot when Johnny Sauter’s #23 R3 Motorsports entry turned in the slowest speed of the night. On Saturday, Ryan Newman’s #39 was the first to slip to last place following a crash on lap 2 that sent his 11th-fastest car behind the wall. One lap after the race restarted on the 8th circuit, Bill Elliott’s #21 fell off the pace on the backstretch and also headed to the garage. 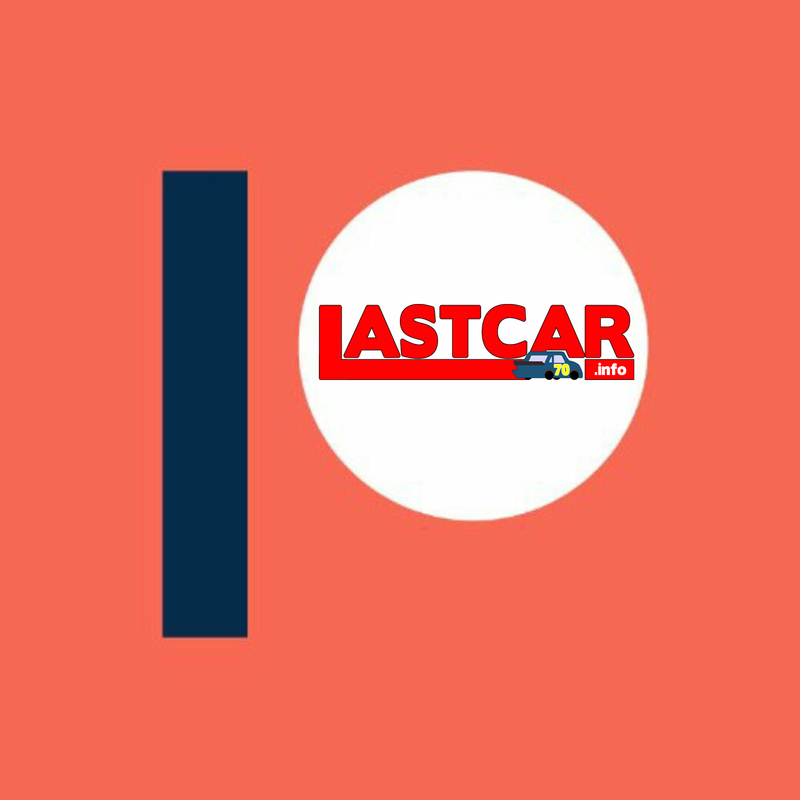 By lap 14, Elliott was back on the track, but Landon Cassill, fastest of the “go-or-go-homers” in his #09, was off the track. Cassill rejoined the race before the lap 24 caution and scored the Lucky Dog. Newman remained behind the wall, but not officially out of the race, in 43rd. By lap 66, Newman was back on the track 58 laps down. Cassill was back behind the wall and had slipped past Yeley to 41st, closing on Elliott for 42nd. Green went back behind the wall by lap 83 and, by lap 98, he had slipped into the Bottom Five all the way down to 42nd. By the time Green returned to the track 35 laps down on the 103rd circuit, McDowell, Cassill, and Yeley were back off the track in 38th, 39th, and 40th. Yeley was the first to drop out of the race at that point, slipping him past Green to 42nd by lap 121 and nudging Elliott out of the Bottom Five. By lap 137, Newman had passed Yeley for 42nd, finally dropping the #36 into last place. By then, Kasey Kahne’s #9 had been eliminated in a two-car crash after his brakes failed in turns three and four, sending him careening into Sam Hornish, Jr.’s #77. Kahne, frustrated and ill, called it a night and Yeley was then called-upon as Kahne’s relief driver. In the end, Yeley nursed Kahne’s car to a 38th-place finish, crossing the line under power. Hornish’s Dodge, destroyed in the Kahne accident, was unable to continue and fell to 40th, keeping the #9 out of the Bottom Five. Elliott and Newman finished 35th and 36th, respectively. 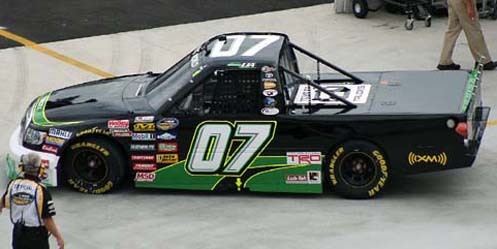 LASTCAR Driver’s Championship leader Joe Nemechek failed to qualify for his fourth race of 2010 (and his third out of the last eight races) as the fastest car to not make the field. Nemechek maintains a one-finish lead in the Driver’s Standings over both McDowell and defending LASTCAR Driver’s Champion Dave Blaney, who was making one of his handful of starts for Front Row Motorsports. This week at Martinsville, Blaney will return to the #36 team, with whom he finished last at Dover last month. Yeley will return to Whitney Motorsports to make his second attempt in the #81 as McDowell’s teammate. One week after Jason Leffler finished last for PRISM Motorsports’ #66 team, both Leffler and teammate Mike Bliss missed the show, allowing Nemechek’s #87 team to hold onto its one-finish lead in the LASTCAR Owner’s Championship standings. Yeley’s finish gave Tommy Baldwin Racing its third 43rd-place showing of 2010, giving the team sole possession of 4th in those standings. *This was Yeley’s first last-place finish in Cup since 2007, when his #18 Interstate Batteries Chevrolet was involved in a multi-car accident after the first lap of the 2007 Samsung 500 at Texas. 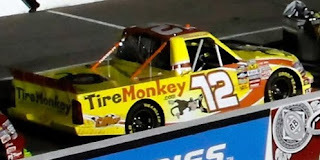 He has just one other last-place finish in NASCAR competiton: a lap 4 engine failure in the 2005 Ameriquest 300, a Nationwide Series race at Fontana. *Yeley is the first driver to finish last in a Cup race at Charlotte with ignition failure since 1984, when the late Benny Parsons’ #55 Copenhagen Chevrolet fell out after 6 laps of the 1984 World 600. *The #36 had never before finished last in a Cup race at Charlotte. Jason Leffler picked up the 5th last-place finish of his NASCAR Sprint Cup career in Sunday’s Pepsi Max 400 at the Auto Club Speedway of Southern California when his unsponsored #66 PRISM Motorsports Toyota fell out with electrical problems after completing 23 of the race’s 200 laps. Leffler qualified 33rd for Sunday’s race at a speed of 181.424 mph while his teammate, Mike Bliss, was unsuccessful in qualifying the #55. It would be the #66 team’s second start in the last eight races and its first since Bristol, five failed qualifying attempts ago. Leffler, who was 2nd-fastest among the “go-or-go-homers” in opening practice (30th overall), fell to the back before the start of Sunday’s race along with the #87 of current LASTCAR Cup Driver’s Championship leader Joe Nemechek and Atlanta last-placer Denny Hamlin. 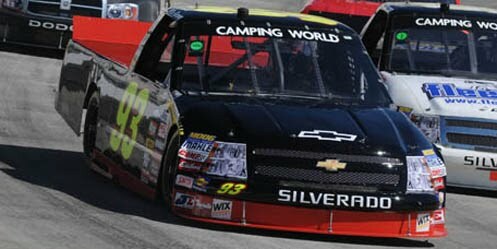 Early in Sunday’s race, first Nemechek, then the #34 of Travis Kvapil fell to 43rd before Kevin Conway dropped back to the rear before the ten-lap mark. Landon Cassill, again in the #64 that he finished last with at Kansas, was the first to go behind the wall, followed by Leffler, who reported an overheating problem as he joined Cassill in the garage area. Nemechek, J.J. Yeley’s #36, and the #09 of Bobby Labonte followed by lap 33, but that changed seven laps later. On lap 40, when Greg Biffle lost his engine in turn four, Nemechek was already leaving the garage area by the time Biffle was entering. Labonte and Cassill soon followed the #87 onto the track, but Leffler, who had already climbed out of the car, did not. This dropped the #66 down to 43rd by a ten-lap gap over Yeley in 42nd. Though Leffler sits a distant 2nd in the LASTCAR Driver’s Championship rankings, PRISM Motorsports’ #66 team is back in the battle for the owner’s title. 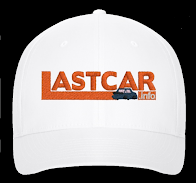 Just one finish behind Nemechek’s NEMCO Motorsports #87, the #66 is very much in contention to defend its LASTCAR championship last year that it shared with 2009 driver Dave Blaney. 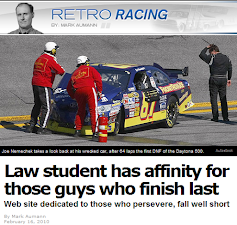 *Neither Leffler, nor the #66, nor PRISM Motorsports had ever before finished last in a Cup race at Fontana. *The #66 had not finished last in a Cup race in 12 races, dating back to Dave Blaney’s 43rd-place finish in this year’s Coke Zero 400 at Daytona. ++Note: These rankings may not be accurate as 49 races, mostly from the first ten Cup Series seasons, do not have the last-place finisher’s car number listed. Racing-reference.info, which has the most complete database, was used to reduce this error as much as possible. Jeff Green picked up the 14th last-place finish of his NASCAR Nationwide Series career in Saturday’s CampingWorld.com 200 at the Auto Club Speedway of Southern California when his unsponsored #36 TriStar Motorsports Chevrolet fell out with fuel pressure problems after completing 2 of the race’s 150 laps. 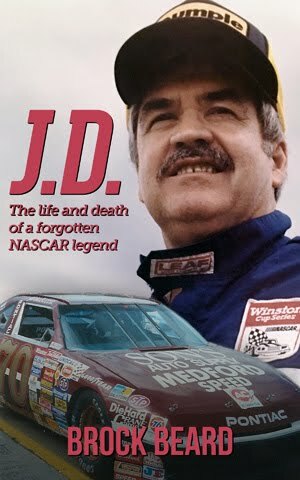 Green now has sole possession of 2nd in the all-time LASTCAR Nationwide Series standings and moves into a tie with Buddy Baker, Jimmy Means, and Cale Yarborough for 10th all-time across all three NASCAR divisions with 17 overall last-place finishes. Green qualified 24th for the race at a speed of 176.151 mph, fifth-fastest among the teams not locked-into the race on Owner Points. The run was more than enough to bump out Johnny Chapman and Eric McClure, who were the only two drivers to miss the race. On Saturday, Green went behind the wall first, followed by both current LASTCAR Nationwide Driver’s Championship leader Dennis Setzer in the #92 and Chase Miller, driving for the #82 team that Matt Carter finished last with at Watkins Glen. With five races to go in this year’s NASCAR Nationwide Series season, Green still has a mathematical shot at dethroning both Setzer and K-Automotive Motorsports’ #92 team as LASTCAR Nationwide Series champions for 2010. To do the latter, however, the #36 will have to qualify for and finish last in all of this season’s remaining races. Since next week’s race will be run with the next-generation Nationwide Series car, it is unlikely that both Setzer and Green will have entries in the race. *Green is the first Nationwide Series driver to ever finish last with fuel pressure as the listed issue. *Neither Green nor the #36 had ever before finished last in a Nationwide Series race at Fontana. Jeff Green picked up the 13th last-place finish of his NASCAR Nationwide Series career in Saturday’s Kansas Lottery 300 at the Kansas Speedway when his unsponsored #36 TriStar Motorsports Chevrolet fell out with suspension problems after completing 2 of the race’s 200 laps. The finish ties Green for 2nd in the LASTCAR Nationwide Series rankings along with Ed Berrier. The two trail all-time Nationwide Series leader Jeff Fuller by 11 finishes. Green qualified 35th for the race at a speed of 167.634 mph, good enough to beat eleven other teams that were not locked-into the field based on Owner Points. In the race itself, Green pulled behind the wall one lap before both Brian Keselowski’s #26 and the #91 D’Hont-Humphrey Motorsports car of David Gilliland, Keselowski edging Gilliland for 42nd based on track position the previous lap. 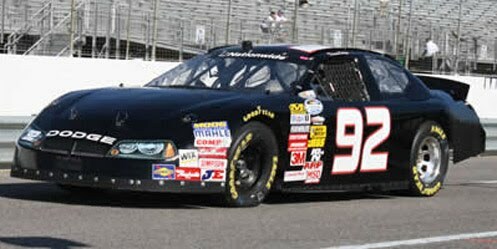 Keselowski’s #92, still leading the LASTCAR Nationwide Series Owner’s Rankings for 2010, failed to qualify when driver Andy Ponstein turned in the fastest time of the six teams that missed the race. Joining Ponstein were third-ranked Johnny Chapman in Morgan Shepherd’s #89 and two-time 2010 last-placers Mark Green and Kevin Lepage. *A Nationwide Series driver had not finished last because of suspension failure since 2008, when all-time LASTCAR leader Derrike Cope’s #4 JVC / ALLINENERGY.COM Chevrolet fell out three laps into the 2008 Dollar General 300 at Charlotte. 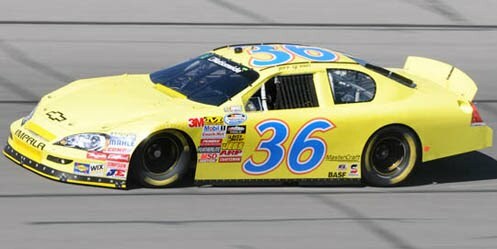 *Neither Green nor the #36 had ever before finished last in a Nationwide Series race at Kansas.